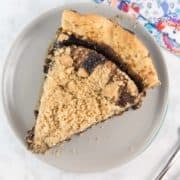 With a gooey dark molasses bottom and a buttery crumb topping, this wet-bottom chocolate Shoofly Pie is a Pennsylvania Dutch tradition with an updated chocolate twist. 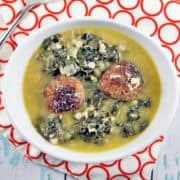 Simple and sweet, it’s best served room temperature or slightly warm with a big dollop of whipped cream. Whew! We’re coming down to the deadline with this month’s Pie of the Month. I was doing so well for a while, always having my pies made 2-3 months in advance. And then… well, and then we had another baby. And I went back to work. So now we’re back to just making it by the skin of my teeth. It also doesn’t help when I have to remake a pie multiple times in order to get it right. But hey! That’s what I’m here for — to do all the recipe testing multiple times to make sure your pie comes out perfect on the first try. 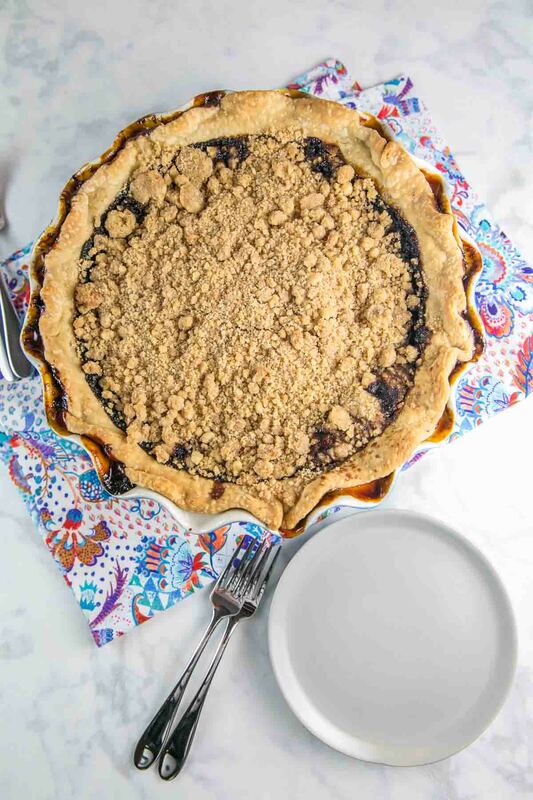 This month I decided to do something a little bit different: in a sea of apple and pumpkin and pecan pies, I’m sharing my favorite “fall” pie: shoofly pie. Which really isn’t a seasonal pie at all, but the spiced molasses flavor always makes me think of cooler weather, and thus: it’s a fall pie. This isn’t just any old shoofly pie, either. It’s a chocolate shoofly pie. Not a fan of chocolate? Want the original, authentic version? Leave it out! If you’re looking for a little extra decadence and flavor, however, chocolate is a perfect addition. But first off, let’s talk the basics. 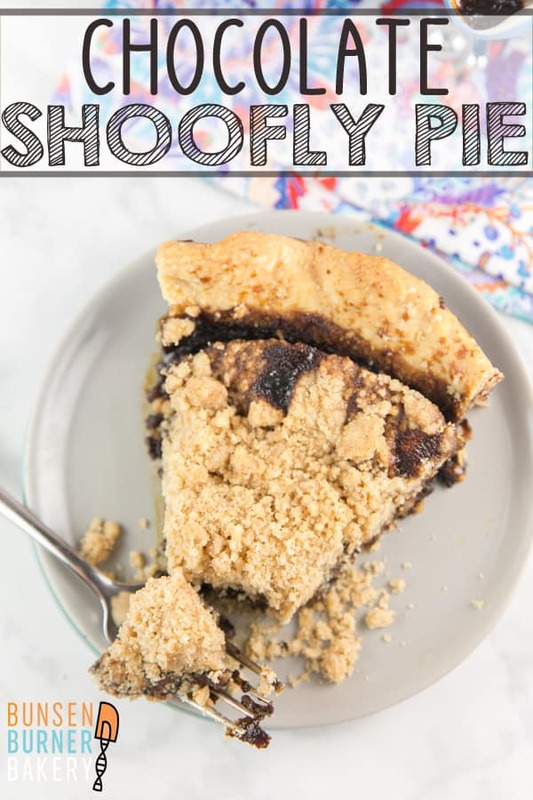 What the heck is shoofly pie? Where did it come from? Have you ever heard of it before? 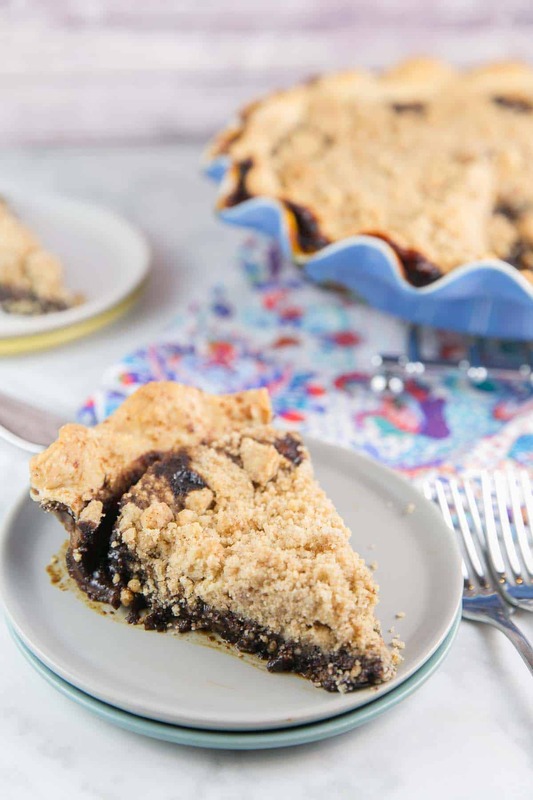 Shoofly pie is a Pennsylvania Dutch staple. It’s like the Central Pennsylvania equivalent to a southern pecan pie: every Amish bakery has one, and everyone thinks their version is the best. 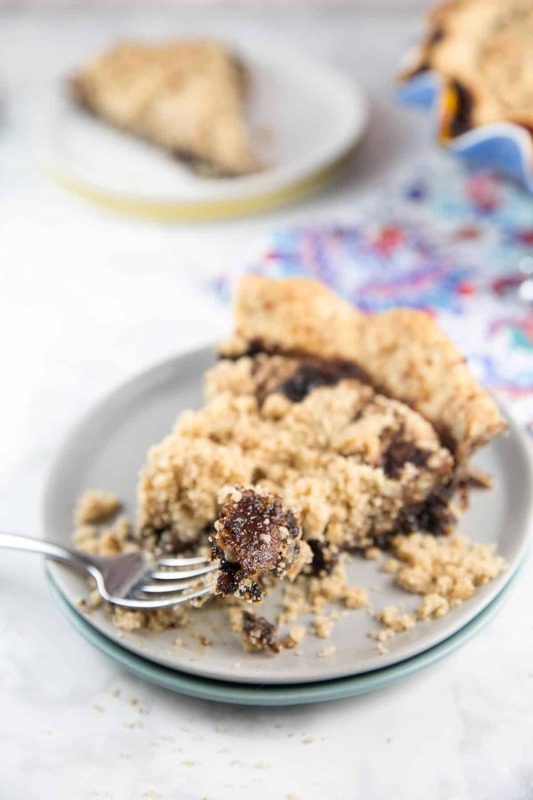 Dark molasses is the star of shoofly pie, baked in a pie crust and topped with a crumbly streusel-like topping. 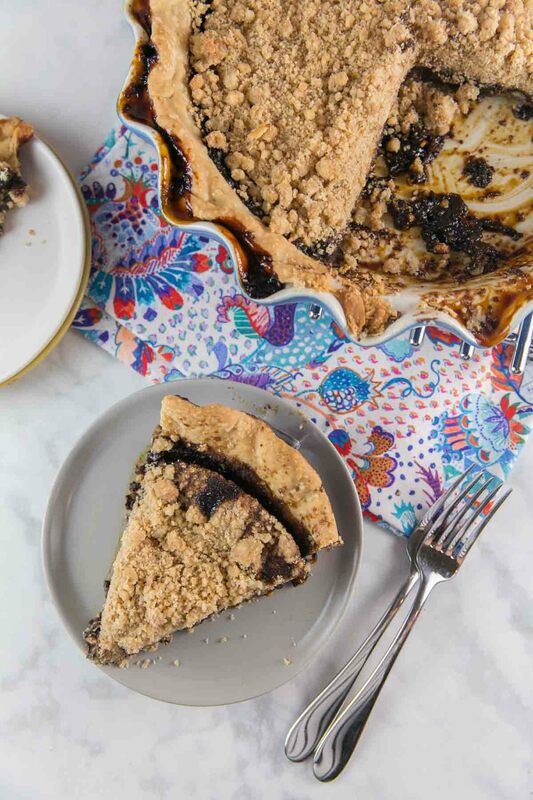 As the name might imply, shoofly pie is so good, flies are drawn right to the sweet, sugary pie. Shoofly pie comes in two varieties: wet bottom or dry bottom. 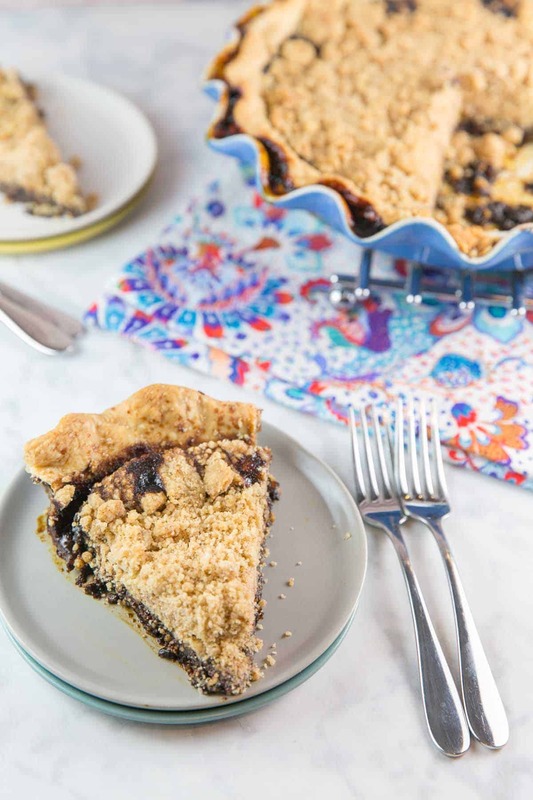 A dry bottom shoofly pie is almost more like a cake baked into the pie crust. 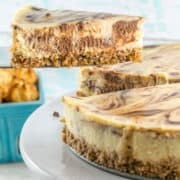 The crumb topping bakes into the molasses, leaving a coffee cake-like filling. These pies are thick and may not have any crumb coating remaining on the top, since it all bakes in. The wet bottom version has a gooey, molassey bottom layer, with a distinct crumb layer on top. These pies tend to be thinner, since the crumb coating stays piled on the top. 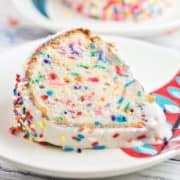 With no flour mixing into the molasses layer, the “wet” bottom relies on the egg to set and is more like a thinner layer of custard than a cake. The shoofly pie I distinctly remember from my childhood is the wet bottom version. Gooey, almost fudgy, with a mile high pile of crumb coating. And yet my first attempt at making shoofly pie was the opposite: a dry bottom version. For my first attempt at shoofly pie, I poured in the molasses layer, added the crumb topping, and baked. The topping sunk into the molasses layer. The flavor was spot on, but what happened to that gorgeous pile of crumbs on top? This wasn’t the shoofly pie I remembered! For the second take, I baked the pie for the first 15 minutes without the topping, then added the crumbs on top. Better, but still not there. This gave me the wet bottom texture, but the layer was very thin and there were (dare I say) too many crumbs on top. Like Goldilocks, I had a feeling the third time would be just right. 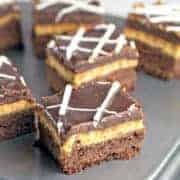 It’s a little unconventional compared to many other recipes, but the extra step is well worth it for the perfect combination of gooey molasses layer, slightly cakey middle, and crumbly top. The molasses layer is a piece of cake: simply whisk together the molasses, boiling water, baking soda, egg, and a tiny pinch of salt. Pour this into your pie crust. For the crumb layer, mix together flour, brown sugar, melted butter, and some spices. Layer half of this mixture on top of the pie and pop it into the oven for 15 minutes. Put the rest of this crumb mixture into the freezer to firm up. After 15 minutes in the oven, remove the pie, add the now-chilled crumb mixture on top, and bake for an additional 25 minutes. The end result? A thick, gooey, custard-like molasses-y bottom with a deliciously golden, buttery crumb topping. A true authentic Pennsylvania Dutch shoofly pie recipe. Want to make the chocolate version? Sprinkle 3/4 cup of chopped chocolate on the bottom of the pie crust before pouring in the molasses filling. Add in in, leave it out — the choice is yours. Either way, if you love molasses, you’re sure to love this shoofly pie, even if you’re thousands of miles away from central Pennsylvania. 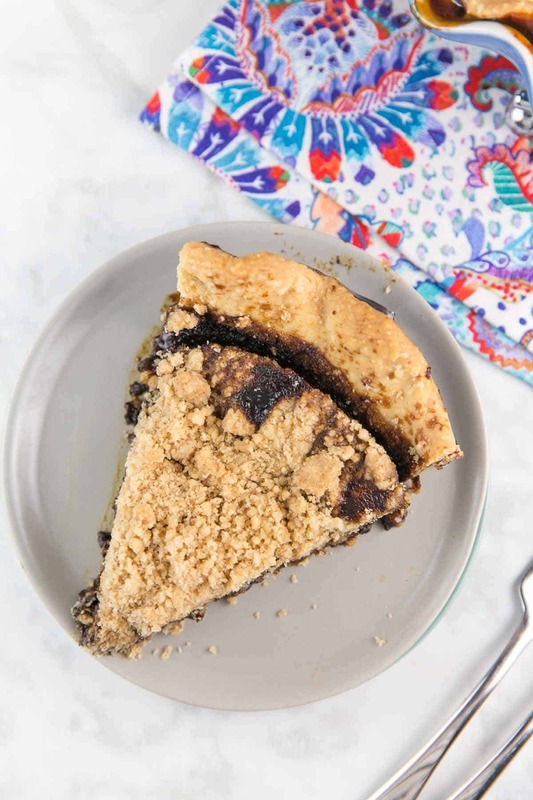 With a gooey dark molasses bottom and a buttery crumb topping, this wet-bottom chocolate Shoofly Pie is a Pennsylvania Dutch tradition. Preheat oven to 400 °F. Place a baking sheet in the oven to heat. Prepare the pie crust. Place in a pie dish and flute edges. Refrigerate crust until filling is ready. To make the crumble topping, whisk together the flour, brown sugar, cinnamon, ginger, and salt. Slowly pour in the melted butter, continuing to stir. The mixture will form a big clump, break this up with your fingers until the mixture has a sandy texture. In a medium bowl, whisk together the boiling water and molasses until smooth and well combined. Stir in the baking soda and egg, along with an additional small pinch of salt. Sprinkle the chopped chocolate (optional) along the bottom of the crust. Pour the molasses mixture into the crust and sprinkle half the crumb mixture on top of the pie. Place the rest of the crumb mixture in the freezer. Bake the pie for 15 minutes. After 15 minutes, remove the pie from the oven. Top with the remaining now chilled crumb mixture, sprinkling it evenly over the top of the pie. Return the pie to the oven, reduce the temperature to 350 °F, and bake an additional 20-25 minutes, until the pie is just set. Cool on a wire rack before slicing. Pie can be made ahead and frozen, either as a whole pie or individual slices. After baking and cooling, wrap the entire pie with plastic wrap, followed by two layers of foil and freeze for up to 3 months. Thaw overnight at room temperature. 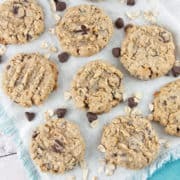 For an individual slice, freeze slice on a cookie sheet until fully frozen, then wrap in foil and store in an air-tight freezer bag. Yes please to everything molasses and chocolate! I had never heard of this type of pie before but it is on my radar now! I can’t wait to try it. Great post! I have heard of shoofly pie but had no idea what it was exactly! Thank you so much for enlightening me. Your pie looks perfect and sounds delicious. I love the classic old-fashioned feel of this pie! It screams fall comfort food and that crust looks pretty perfect as well! And I will take that dollop of cream aaaand a bit of vanilla ice cream! this looks SO delicious Julie!! and I love the name! I had actually never heard of shoofly pie, was not even sure I understood the name 😀 Nice to get to know it, though. I love making pies so I should definitely try this one. Better yet, I hope to visit one day and get to eat one in Pennsylvania. My husband is a huge Eagles fan so I will have to take him to Pennsylvania one day (we live in Sweden, so it’s not really round the corner). Chocolate Shoofly Pie? You can possibly make Shoofly Pie more decadent? Oh, my, that sound amazing… And I love your trick with the crumbs. 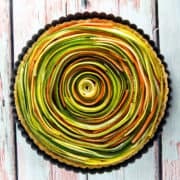 This is defiantly a different kind of fall pie! I can’t wait to give this a try soon. I’ve never heard of Shoofly Pie but it looks and sounds amazing. I will definitely have to try making your version. I have never tried something like this before. 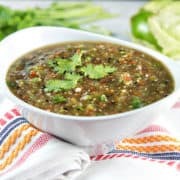 Your pics and recipe makes me want to try it right away. Thanks for sharing. I will let you know how this turns out. I love molasses and the addition of chocolate sounds brilliant! I can’t wait to give this a go! 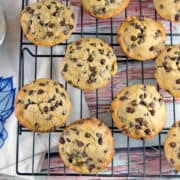 this looks absolutely decadent and droolsome .the recipe is easy and a treat for a chocolate lover.my kids will love it.